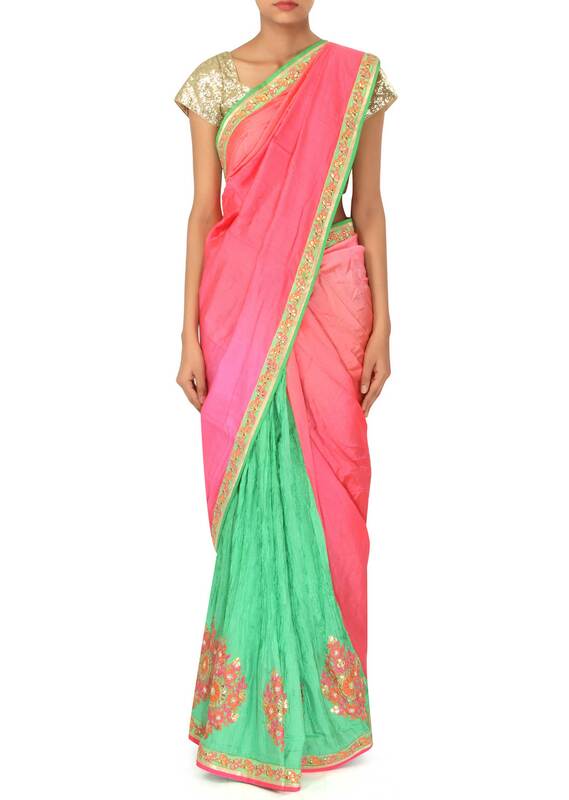 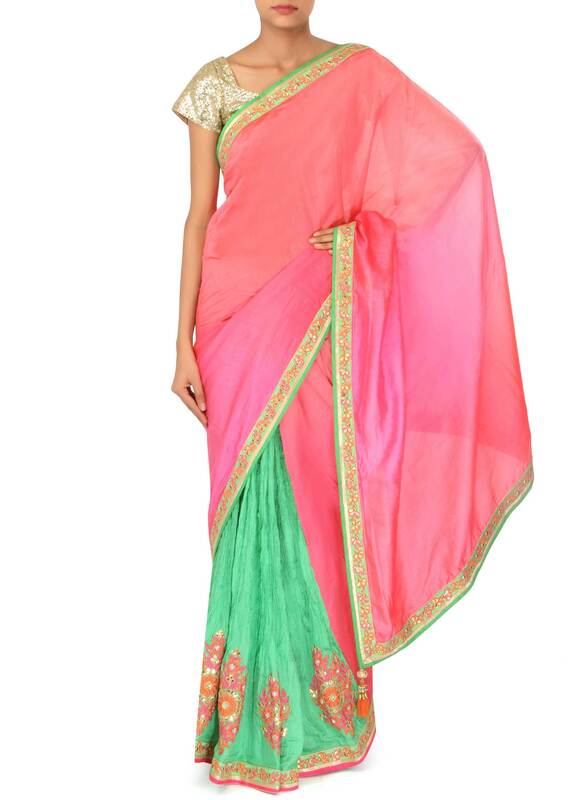 Half and half saree with pallav in pink silk and other half in crush green. 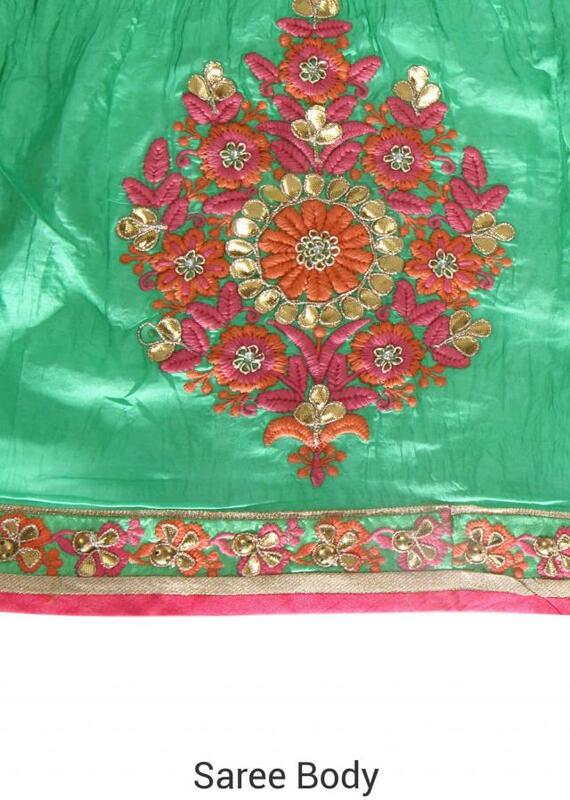 Its embellished in resham and gotta embroidered butti. 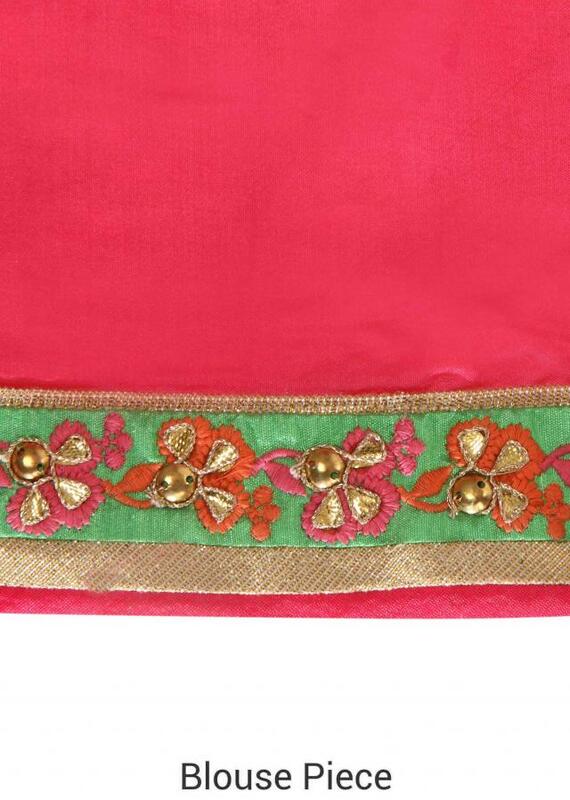 Blouse is unstitched in pink silk.